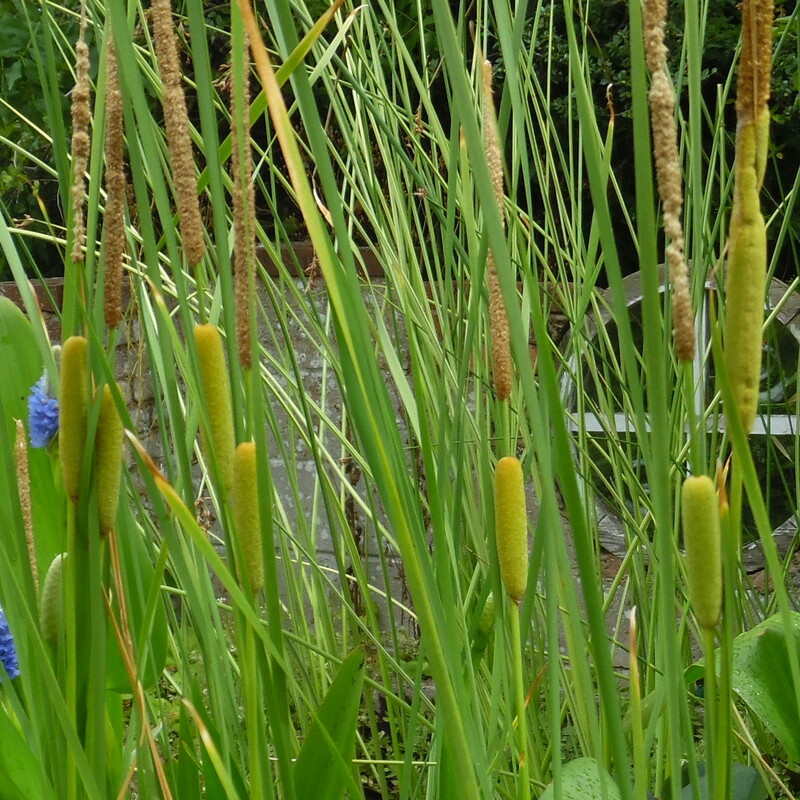 Slender Reed Mace (Typha laxmannii) is an excellent choice of Bullrush for medium to large garden ponds. It is extremely elegant and not as sprawling in its spreading habit as the larger varieties. The new growth forms closer to the parent plant and this results in much tighter clumps. Suitable for medium to large garden ponds, it produces slender grey/green leaves with 3 inch tall,cylindrical, fox-brown seedheads which appear between June and October.These seedheads can be left on for an attractive display all winter. Cut late winter to early spring before the seedheads burst. Will grow to 90-120cm (3-4 ft) in height. Recommended planting depth 0-15cm (0-6 in) of water above soil. We recommend planting in a mesh basket of at least 11cm in the shallow water at the margin of your pond.